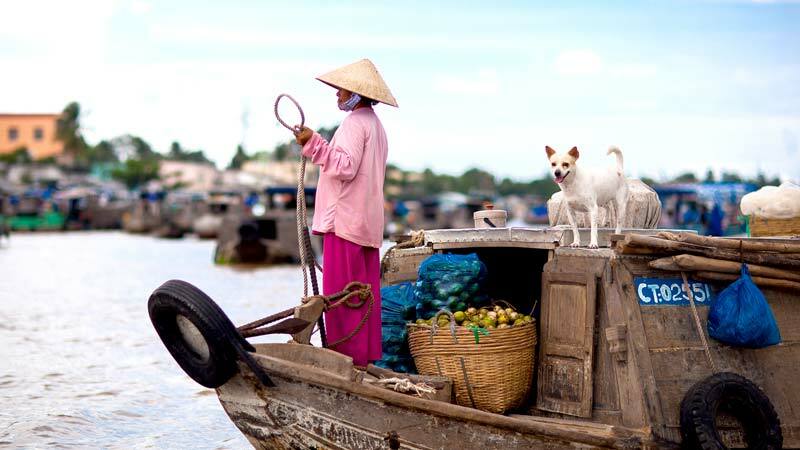 Cai Rang Floating Market is the most well-known of its kind in the Mekong Delta. 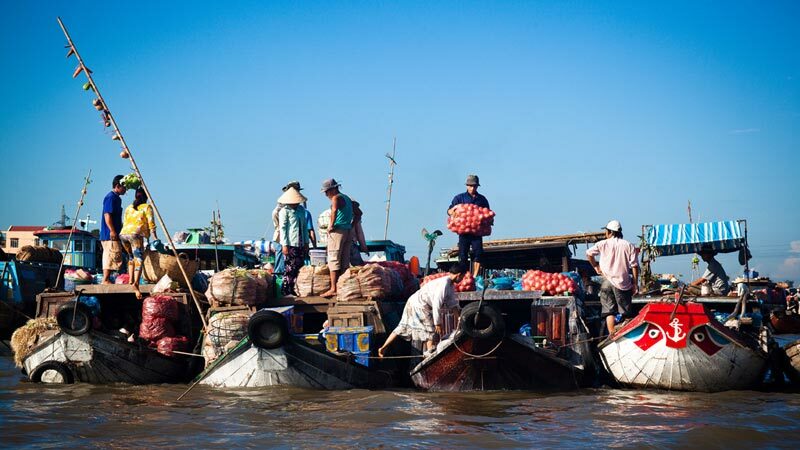 These colourful and unique markets give tourists great insight into the culture and everyday boating-lives of the Mekong people. Cramped together, these boats feature a variety of specialty fruit that comes from this Western region. Each boat sells only one particular fruit and each seller promotes his or her products by hanging them on a pole at the bow of the boat. You’re likely to find many interesting and tasty foods amongst these floating food vendors as well as at the Sao Hom restaurant. One important thing to note: bargain, bargain, bargain - or you will get ripped off.